Methicillin-Resistant Staphylococcus aureus leads to more deaths than AIDS and resists most antibiotics. How do such “superbugs” fit within a creation framework? Methicillin-resistant Staphylococcus aureus (MRSA) has captured national headlines. In the fall of 2007, the CDC (Center for Disease Control in Atlanta) reported that deaths due to MRSA were greater than those caused by AIDS. MRSA is rapidly becoming one of the most prevalent and menacing diseases of our time and increases the risk of time spent in a hospital. MRSA are bacteria that represent “new” strains of antibiotic resistant Staphylococcus aureus (Figure 1). Although the media discusses MRSA as a single new strain, in reality MRSA represents more than 1100 distinct strains of S. aureus (Wim and Neeling 2005). S. aureus causes many diseases, including skin boils, infection of leg ulcers, and pressure sores. Occasionally, it can cause more serious disorders such as blood poisoning (septicemia), pneumonia, or bone, joint, or heart valve infection. What makes MRSA bacteria deadly is their resistance to penicillin and its derivatives. Figure 1. Scanning electron micrograph (SEM) depicting clumps of MRSA in gold, magnified 9560x. Reproduced from CDC stock photo. Methicillin is a penicillin derivative that was issued in clinics in most countries in 1959–60, but its use was discontinued after 1961 due to resistant strains appearing. Unfortunately, resistance has increased dramatically since 2000. These bacteria are now categorized as Hospital-Associated MRSA (HA-MRSA) and Community-Associated MRSA (CA-MRSA) depending upon the disease acquisition location. Yet, we read in Genesis Chapter 1 that God made everything “very good.” If everything that God made was good, where did MRSA come from? What is the origin of this frightening germ? Where does MRSA or “Super Staph” fit in to the creation account? Were they created along with the rest of the life in the first week of Creation or were they created later—after the Fall? Is MRSA a result of the “Curse”? These and other questions have been asked by professional creation microbiologists (Francis 2003; Gillen 2007; Gillen 2008). Their answers may surprise you. The purpose of this article is to provide a reasonable explanation for the genesis of MRSA (“Super Staph”). Microbiology research based on the creation paradigm appears to provide some answers to these puzzling questions regarding the Staphylococcus “kind” (Family Micrococcidae). Although I cannot be dogmatic (beyond the biblical text) regarding details of microbe origin during creation week, I believe that a reasonable extrapolation from Scripture and biological data can be made about the nature of microbes in a fully mature creation. Diligent research by past creation biologists1 such as Leeuwenhoek, Pasteur, and Lister, were blessed by God as He revealed ( Psalm 139:17a ) to them critical insight into His creation (Gillen and Sherwin 2008). Before answering these questions, some background is needed regarding the pre-Fall world, normal flora (i.e., fungi and bacteria), and skin characteristics in particular. Where do the MRSA microbes fit into God’s “very good” creation? Most creation biologists believe that God created ( Genesis 1 ) all bacteria as very good forms of life (Francis 2003; Gillen 2008). Even today, a vast majority of bacteria are beneficial to man and nature. Only about 5–10% of all bacteria are pathogenic. Many microbes live in a mutualistic relationship with other microbes, but they also reside with plants, animals, and humans. Mutualism is a type of symbiosis (Greek sym; together, bios, life). It is “normal” and critical for our body’s health to be symbiotically inhabited by microbes such as beneficial bacteria. God’s very good creation included design features involving important microbes. This external beneficial colonization of the body is termed our normal microbiota or flora. In some cases the symbiosis is beneficial to both the body and the microorganisms; this relationship is called mutualism. Man is “covered” inside and outside his body with millions of microbiotic organisms (i.e., normal flora) to maintain normal bodily functions and sustain life in changing environments. The human skin contains about 3 million bacteria per cm3 (many more than the number of our own larger epidermal cells). Many Staphylococcus and Micrococcus species live on human skin and derive nutrients from the environment while producing acid to prevent the overgrowth of pathogenic organisms. S. epidermidis alone makes up 90% of the normal flora on the skin (Bauman 2009; Tortora, Funke, and Case 2009). The normal flora provides clues to the pre-Fall function of bacteria. The skin provides a microbiome for many bacteria. Dr. Joseph Francis (Francis 2003) suggests the microbes are a natural healthy extension of the body and the bacteria form a biomatrix (technically an organosubstrate) on the epidermis. In a brilliant stroke, the Creator most likely wove together man’s skin with a Staphylococcus kind.2 Just like an embroidered quilt, He made humans with bacteria on their skin and in their intestines. When God created man, most likely He made the Staphylococcus kind to help maintain and protect the skin and other integumentary surfaces. Figure 2. 50,000x colorized scanning electron micrograph of Staphylococcus. Reproduced from CDC stock photo. Over time, minor changes took place (i.e. variation): some of the Staphylococcus kind became S. epidermidis to occupy most of the body’s surface. S. epidermidis seems quite adapted to living on the dry and salty skin. On the other hand, S. aureus tends to occupy moist places of the body like the nose, mucous membranes, and folds of the armpits and groin. Perhaps, the original Staphylococcus kind diversified into several varieties according to microhabitat: some to live on the dry skin and some to live on moist skin. (S. aureus and S. epidermidis are two of 31 identified Staphylococcus species, Figure 2). Staphylococcus aureus is a bacterium that can frequently live harmlessly in the nose and occasionally on the skin in a state known as colonization (Talaro 2008). Most likely, S. aureus was originally designed to live in harmony with man as a harmless normal flora. Perhaps it played a positive role in the recycling of cell components in nose or skin as its “cousin” S. epidermidis did in its original good design. After the Fall, the Curse given by the Creator caused corruption and decay to the genetic code of bacteria. Today, the term germ specifically refers to disease-causing microbes or pathogens (Gillen 2007). A pathogen is a microbe capable of causing host damage. All “germs” would have their origin after the Fall ( Genesis 3 ). The Edenic Curse would have profoundly influenced all Creation, including viruses, bacteria, fungi, and protozoans that would later become pathogens or parasites. Clearly, the origin of infectious disease is complex and multifaceted (Figure 3). This topic is further explored in the book The Genesis of Germs (Gillen 2007). It provides some understanding into the origin of infectious diseases. From a biblical worldview, infectious diseases and pathogenesis became a secondary condition and not what the Creator intended. As research continues, the mutualistic relationship of prokaryotes and people is seen to be more intimate than ever. Many of the skin’s microbiota are now known to secrete chemicals that interfere with the growth of pathogens (Bauman 2009). The Staphylococcus “kind” is a rather hardy Gram-positive bacteria type and is especially resistant to drying. These bacteria usually occur in large grape-like clusters (32–64 cells), but can be observed individually or in two-, four-, eight-, or 16-cell or larger chains at a time (Figure 2). These tiny spheres measure about one µ in diameter. Staphylococci grow at a variety of temperatures and oxygen conditions but seem to do especially well at normal body temperature (37 °C) and on the surface of skin and mucous membranes (Talaro 2008). It seems conceivable that after the Fall, some of the Staphylococcus kind became corrupted by the addition of genetic material (pathogenicity islands and bacteriophages carrying foreign DNA segments), as well as by the loss of chromosomal DNA. Modification and displacement of the Staphylococcus kind led to its pathogenicity. Today, S. epidermidis only shows a “trace” of modification and remains a beneficial microbe. Conversely, S. aureus shows large genetic components that seem to have been added and a few genes that have been lost. The pathway to pathogenicity for Staphylococcus appears to result from several major traits that have been added, including genes that code for a toxin, flesh stripping (exfoliative) enzymes, and traits that help bacteria avoid phagocytosis by white blood cells (Table 1). These traits may have come from displacement of genes from neighboring bacteria. One of the major enzymes is staphylococcal coagulase, a corrupting factor in plasma that initiates clot formation (Seifert and DiRita 2006). In today’s post-Fall world, S. aureus is far more virulent than S. epidermidis. In fact, it is the most virulent of all the Staphylococci and Micrococci (Nester et al. 2009). It lives permanently in the nose for 20% of the human population. Up to 80% of the American population are carriers of S. aureus at some point in their lives. This poses a danger to the public because these bacteria can survive for months on moist surfaces. S. aureus are typically yellow, golden, or orange tinted. In contrast, S. epidermidis are white or cream colored. The pigment in S. aureus provides it with protection against the sterilizing rays of UV light. S. aureus that are exposed to UV light lose their pigment and are more likely to be phagocytized by the body’s white blood cells and are less harmful than their pigmented cousins. Figure 3. A Multifaceted Model for the Genesis of Germs, Figure 9.1 (see p. 157, The Genesis of Germs). S. aureus has a significantly larger genome than S. epidermidis. Most strains of S. aureus have a genome size of 2.8+ Million Base Pairs (MBP) and most strains of S. epidermidis have a size of 2.5–2.6+ MBP. They share about 67% (2/3) of the same genes. It appears that S. aureus has gained about 300,000 DNA base pairs, many of which are factors that lead to its pathogenicity and ability to avoid the body’s defense system (Seifert and DiRita 2006). As we examine many other important bacteria pathogens, it appears that a “recipe for corruption” is this: the addition of unnecessary DNA, the loss of purposeful information, and the mixing of “foreign seed” (DNA from other microbes) with original kind “seed” (DNA of original S. aureus). Lateral transfer of DNA may be beneficial to the bacteria for a season. Virulence seems to commonly arise via mechanisms of conjugation, pathogenicity island transfer, bacteriophage insertion, and loss of metabolic coding information (Figure 3). For example, bacteriophages (viruses that infect S. aureus) are known to carry incomplete or corrupted genes that are then spliced into the genome of the host they infect. In addition, pathogenicity islands via conjugation have been transferred from other bacteria adding new virulence factors. The most significant lateral transfer appears to be the addition of chromosomal DNA cassettes (pathogenicity islands) from neighboring bacteria (Seifert and DiRita 2006). 1872. Sir Joseph Lister, Christian and British physician, is influenced by Louis Pasteur’s work on infectious agents, uses phenol (carbolic acid) directly on wounds and surgical dressings, preventing most post-operative infections. He sees cocci in clusters (possibly Micrococcus) but does not make full connection of cause and effect with inflammation. 1879. Louis Pasteur, creation microbiologist, discovers small, rounded bacteria in grape-like clusters. He finds the bacteria in the pus from the neck of his lab assistant, Emile Duclaux. He associates these bacteria with both furuncles (boils) and later osteomyelitis in the tibia (Vallery Radot 1959). 1880. Staphylococcus pyogenes aureus is identified as the cause of wound infection by the Scottish surgeon Sir Alexander Ogston, who named it for the grape-like clusters (in Greek, staphyle) he observed under the microscope (the first name given to S. aureus). 1881. Robert Koch notices work of Alexander Ogston and expands study of S. aureus. He reports that it is the most common cause of wound infections in hospitals. 1884. Staphylococcus pyogenes aureus is isolated and distinguished from S. epidermidis by German scientist Anton Rosenbach, who grows the two strains, S. aureus (“golden staph,” for the golden colonies it grows on bacterial media) and S. albus (white colonies, now called S. epidermidis) in pure culture. 1891. Joseph Lister publishes a paper that carboxylic acid is needed to prevent S. aureus surgical infections. He applies it to patients during surgery. 1928. Alexander Fleming discovers penicillin. 1930s. The coagulase test is invented enabling bacteriologists to rapidly detect a coagulating enzyme secreted by S. aureus. Coagulase-positive S. aureus are among the most severe pathogenic strains. 1941. S. aureus blood infections have a mortality rate of 81% in a Boston hospital. The same year, a British policeman seriously ill with S. aureus is cured by penicillin. 1944. Widespread use of penicillin cures many staph infections after D-Day. The “miracle drug” mentality leads to lapses in aseptic protocols and “more is better.” By 1946, Alexander Fleming warns that penicillin-resistant staph will increase (Fleming 1946). 1961. Methicillin-resistant S. aureus (MRSA) is first detected in a British hospital; during the next 10 years, MRSA becomes widespread in Europe, the USA, and Australia. 2007. CDC reports more U.S. deaths due to MRSA than AIDS in 2005. 2008. MRSA reports skyrocket in public schools. The vast majority of S. aureus are positive for coagulase production. This means that bacteria can produce an enzyme that coagulates blood—turning fibrin into insoluble fibrinogen—the protein that makes a blood clot look a crusty-brown fisherman’s net. It appears that coagulase causes fibrin to be deposited around the cocci and prevents macrophages and neutrophils from engulfing (via phagocytosis) the Staph bacteria. As S. aureus evades the body defenses, they then begin to secrete various enzymes to gain further expansion into the human body. These enzymes include hemolysins and leukocidins. They are able to cause the hemolysis (splitting) of erythrocytes (red blood cells) and secrete a leukocidin that destroys leukocytes (white blood cells). In addition, the added DNA codes for toxins and injurious chemicals that facilitate its spread across the skin, mucous membranes, and other body surfaces. The consequences to the Staph invasion can lead to harmful impetigo, flesh-eating effects, septicemia (blood poisoning), and, in the GI tract, food intoxication (Bauman 2009; Tortora, Funke, and Case 2009; pp. 586-587). The history of Staphylococcus aureus is very interesting and involves a number of Protestant and Roman Catholic scientists. The earliest observers were “evangelical” Quakers: Joseph Lister and Alexander Ogston. Both are reported to have been humble Christians who wanted to heal patients of dreaded surgical and wound infections. Creation microbiologist, Louis Pasteur was one of the first to report the tiny grape-like cluster of bacteria in boils (later named Staphylococcus aureus). Due to other more pressing projects, such as anthrax and rabies, he did not further pursue the study of S. aureus. Instead the Scottish surgeon Alexander Ogston described the nature of Staphylococci. He worked with Joseph Lister to eliminate them in hospital operating rooms. The German Anton Rosenbach built upon Ogston’s work and would be the first to distinguish the Staphylococci “kind”—the golden ones as Staphylococcus pyogenes aureus (now called S. aureus) and the white ones as Staphylococcus albus (now called Staphylococcus epidermidis.) The next major breakthroughs came when Alexander Fleming was first working with bacteria isolated from soldiers’ wounds in WWI. In 1921, he isolated lysosome from tears that was produced in response to the Staphylococcus “kind.” He became the leading expert on S. aureus. Then, in 1928, his most famous discovery, penicillin, was produced by a mold that inhibited the growth of S. aureus. By the early 1940s, penicillin became the most common antibiotic for wound treatment in soldiers in WWII. Fleming predicted the indiscriminate use of the now “miracle” drug, would lead to resistance. Indeed, by 1946 penicillin resistance in S. aureus was observed in many patients around the world. In 1945, during his Nobel Prize speech acceptance, he gave credit to the Creator and Providence for leading him in to this “serendipitous” discovery. Fleming was a Roman Catholic who saw Providence directing him through life and suggesting an “Angel” had “stirred up the waters” for the Penicillium mould to mix with S. aureus on the Petri plate that August (1928) day (Maurois 1959). Staphylococcus aureus is a classic example of expanding during resistance. It quickly developed penicillin resistance soon after WW II. 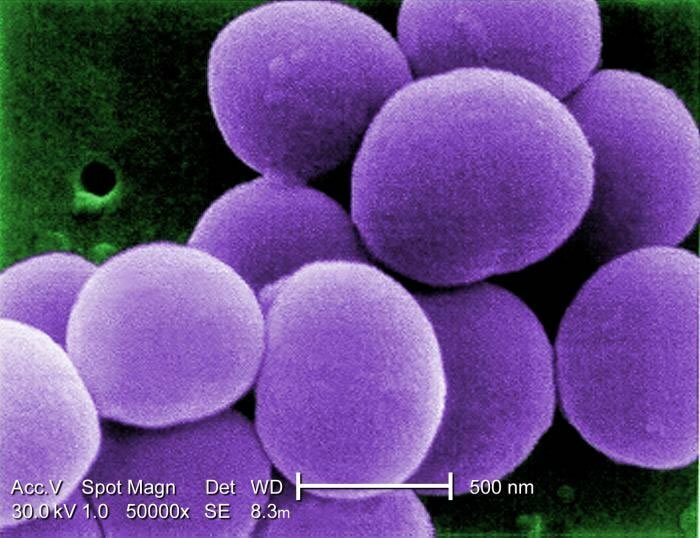 S. aureus later acquired resistance to methicillin, then to third-generation penicillins, and now to powerful drugs, including one of the last of the front-line antibiotics, vancomycin. Like many other hospital terrors, these bacteria, which were once considered to be relativity harmless microbiota of the skin, acquired multiple drug resistances and additional virulence traits from environmental commensals. One such virulence factor is the carotenoid pigment staphyloxanthin that gives S. aureus its golden color. Staphyloxanthin helps this pathogen evade host destruction by reactive oxygen (from hydrogen peroxide) sequestered within the host’s neutrophils (Talaro 2008). Methicillin was first administered to hospital patients in the UK in 1959, and by 1961, resistance developed. Research has shown the MRSA strains have emerged more than one time since 1961. The mechanism for horizontal (or lateral) gene transfer varies widely by bacterial strains. In general, methicillin resistance arises by acquisition of a staphylococcal cassette chromosome SSCmec (a pathogenicity island or mobile gene complex) and is coded by the mecA gene (Seifert and DiRita 2006). The protein expressed is PBP2, a penicillin-binding protein (Nester et al. 2009). (Penicillin-binding proteins are enzymes that bind Staph’s cell wall.) This “new” penicillin binding protein has reduced attraction for the characteristic and critical ß-lactam ring, the major active-site of the ß-lactam antibiotics, such as penicillin and methicillin. MRSA with its new PBP2 disrupts the drug’s action and renders the antibiotic ineffective. Since the emergence of MRSA in the 1960s, more than two dozen strains resistant to methicillin have independently arisen, and many of these are also resistant to vancomycin and a dozen more antibiotics. MRSA and its “cousins” have become a hospital terror over the past decade. MRSA could be modern-day type of “leprosy” (Hebrew tsara’ath), a contagious disease in the Bible. Leprosy is most described in Leviticus, where it primarily refers primarily to an infectious skin disease. A person with any scaly skin blemish was tsara’ath (Gillen, 2007). There is no precise, written historical record of how, when, where, or why infectious diseases like MRSA began. The Bible does not say exactly when contagious diseases caused by Staphylococcus first arose; so, creationists and evolutionists have formulated their ideas regarding the origin of diseases based upon limited evidence. The skin and immune system seems to have declined over time, as evidenced by shorter human life spans than those of the early chapters of Genesis. The skin and immune system seems to have declined over time, as evidenced by shorter human life spans than those of the early chapters of Genesis, as well as decreased phagocytic ability in handling Staph. The origin of Staph-virulence genes is both complex and multifaceted, but may be explained by a combination of genes being lost, added, or moved. S. aureus may have lost its ability to grow on very dry surfaces (microbiomes) of the skin; whereas, its ‘cousin’ S. epidermis can still survive there. One example of a “corruption” of mobile genes is the lateral transfer of pathogenicity islands that code for the enzymes coagulase and staphylokinase, as well as exfoliative, hemolysin, and leukocidin toxins. The story of S. aureus’ degeneration into the MRSA pathogen may serve as a model of “fast” genomic variation, decay and corruption—not upward, onward evolution. In fact, both the original and final forms are still Staphylococcus bacteria. The corruption and decay of the Staphylococcus kind is due a loss of DNA bases (deletion), as well as some DNA base insertions, resulting in damage to the original genetic information. For example, bacteriophages (viruses that infect S. aureus) are known to carry incomplete or corrupted genes that are then spliced into the genome of the host they infect. In addition, pathogenicity islands have been transferred from other bacteria to S. aureus via conjugation adding new virulence factors. Some of MRSA’s antibiotic genes appear to have been added to its existing plasmids; S. aureus has obtained both chromosomal, toxin genes from a pathogenicity islands in Enterococcus species. This new information is a corruption of Staphylococcus’ original chromosomal DNA. Virulence factors (such as coagulase) play a small role in infections; however, none is considered a primary cause of the highly virulent disease. It is the sum of all the virulence factors that make S. aureus a particularly dangerous infection. The interaction and cumulative effects of the virulence factors and corruptions of the body’s immune system are important in whether they are fatal, or life threatening. Because some stains of S. aureus are able to evade and disable the immune system, they can cause significant damage by entering the bloodstream and heart, thus making them lethal. By contrast, a healthy person’s immune system can still prevent progress of many virulent MRSA infections, even with many virulent factors. Staphylococcus aureus has likely been a pathogen for a long time: boils have been known since the time of Job! However, in the 1940s, penicillin provided a temporary cure for everyone. But by the late 1940s, the miracle was eroding. As more antibiotics were manufactured, the bacteria developed resistance, and by 1960s, MRSA emerged. Today, it is estimated that more than 95% of hospital patients with S. aureus are resistant to first and second generation antibiotics like penicillin, ampicillin, and methicillin. MRSA is sometimes called “Super Staph” or the “Superbug” in the press because of its resistance, its ability to cause infections in hospitalized patients, and its capacity to cause outbreaks on wards. The reason that hospitals seem to be hotbeds for resistant MRSA is because many different strains of it are being thrown together with many doses of antibiotics, vastly accelerating a natural selection for resistance. The key to MRSA control is the prompt treatment with effective antibacterial drugs. But a Christian, the seeking of Jehovah Rapha, The Great Physician, is important: God has revealed Himself as Jehovah Rapha in the context of great sickness occurring all around His people. Rapha means “to cure, to repair, to heal, to mend back together” or “to restore one to health or usefulness” (Strong 1948). Usually the word, heal, or healing is used in conjunction with Jehovah Rapha. “Healing” implies: sewn together, or stitched. God is involved in the restoration by sewing things together that are torn apart. This is the nature of Jehovah Rapha. MRSA infections tear the skin and have the capacity to destroy a life. God is the Creator of the human body and the Staphylococcus kind and what He has made He can restore. After all, what He has made, He can heal. Bauman, R. 2009. Microbiology with Diseases by Body System. 2nd ed. San Francisco, CA: Pearson Benjamin/Cummings Pub. Co.
Fleming, Sir Alexander. 1946. Penicillin: Its Practical Application. London: Butterworths. Francis, J.W., 2003. The Organosubstrate of Life: A Creationist Perspective of Microbes and Viruses. R. L. Ivey, ed. 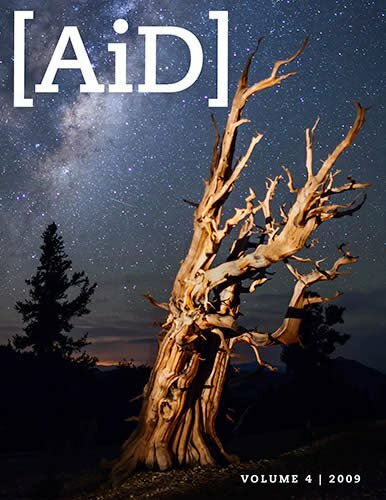 Proceedings of the Fifth International Conference on Creationism. Pittsburgh: Creation Science Fellowship. 434-444. Garrity, G. M. (ed.) (2005). Vol 2: The Proteobacteria. Bergey’s Manual of Systematic Bacteriology (2nd ed.). Berlin: Springer-Verlag. Gillen, A. L. 2008. Microbes and the Days of Creation. Answers Research Journal 1: pp. 7–10. Gillen, A. L. and Sherwin, F. 2008. Louis Pasteur’s Views on Creation, Evolution, and the Genesis of Germs. Answers Research Journal 1: 43–52. Maurois, A. 1959. Life of Sir Alexander Fleming: Discoverer of Penicillin. London: E.P. Dutton & Co., Inc.
Nester, E. N., Roberts, C. E., Pearsall, N. N., Anderson, D. G., & Nester, M. T. 2009. Microbiology: A Human Perspective (6th ed.). Boston: WCB McGraw-Hill. Orent, W. 2006. A Brief History of Staph: Charting the Progression of Today’s Hospital Terror. 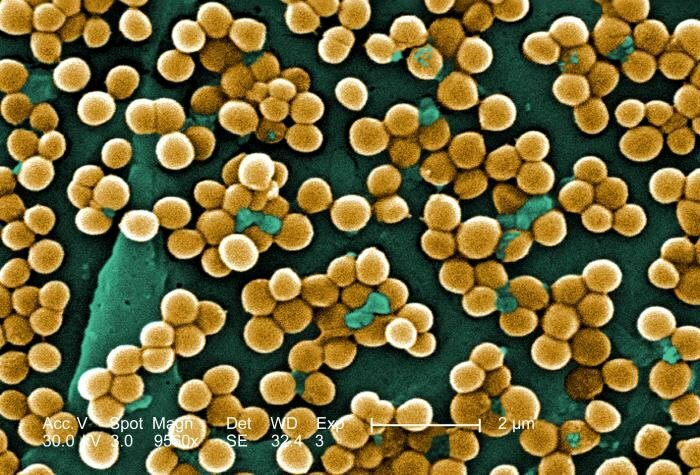 http://www.protomag.com/assets/a-brief-history-of-staph. Seifert, H. S. & DiRita, V. J. 2006. Evolution of Microbial Pathogens. Washington, D.C.: ASM Press. Strong, J. 1948. Strong’s Exhaustive Concordance of the Bible. Nashville, TN: Royal Publishers, Inc.
Talaro, K. P. 2008. Foundations in Microbiology, (6th ed.). Boston: WCB McGraw-Hill. Tortora, G.J., B. R. Funke, and C. L. Case. 2010. Microbiology, an Introduction. 10th ed. San Francisco, CA: Pearson Benjamin/Cummings Pub. Co.
Vallery-Radot, P. 1959. Louis Pasteur: A Great Life in Brief. Translated by Alfred Joseph. New York: Alfred A. Knopf Publishing. Wim, W. and Neeling, A. J. 2005. Letter following note: Successful Search-and-Destroy Policy for Methicillin-Resistant Staphylococcus aureus in The Netherlands. Journal of Clinical Microbiology, Vol. 43, No. 4, pp. 2034–2035. Acknowledgement: I would like to express my appreciation for the feedback of Frank Sherwin, Doug Oliver, and Georgia Purdom on early drafts of the manuscript. The term, creation biologist is used in the broader sense. 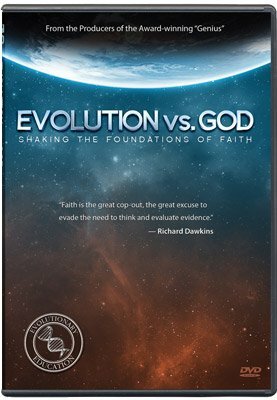 Although there is strong historical evidence that each of these men had a creation worldview, their exact stance (young-earth, old-earth, progressive creation) is not known. Wove together—this implies a mutualistic relationship between two distinct organisms, not a mosaic of one.